Brand new Futura Euro Luxury Coach financed by Mistral! 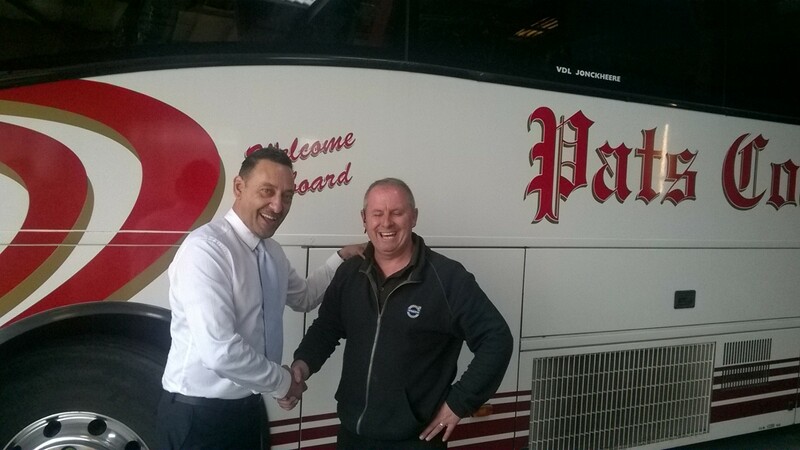 Earlier this year the Mistral Group, incorporating Mistral Bus and Coach and Mistral Asset Finance, sourced a competitive finance facility for Pat’s Coaches in North Wales with a brand new VDL Futura Euro 6 13.9M. Wrexham area. They also provide school services to The Maelor School, an independent, and have dealt with them for 12 years. Since 1999 they have dealt with Leger Holidays providing coach tour work in the UK and also Just Go Holidays. In addition they provide private hire work.